In case you missed it, American has decided to buy an insanely large number of airplanes. With 460 orders and another 10 million options (ok, maybe just 465), this was easily the largest order ever for an airline. Not only did American order a lot of airplanes, but it gave the lion’s share to Airbus, a huge coup for the manufacturer. This is a huge chunk of change, so why is American, the airline with one of the weaker balance sheets around, playing with fire? A few reasons. This might actually be a smart move. Unfortunately, we don’t know a ton of details about American’s plans just yet. We do know that American will buy 100 more current generation 737s, 100 737s with new, more efficient engines, 130 current generation A320 series airplanes, and 130 A320neo (new engine option) series airplanes. That comes to a total of 460. How will this massive buy fit into the airline’s fleet? That remains to be seen since American hasn’t said which versions of each series it will take. But we do know something. When this order is fully filled, the MD-80, 757, and 767-200 will have disappeared from American’s fleet. The MD-80 retirement is no surprise. American has slowly been replacing those with 737-800s, and this will be the nail in the coffin for the older technology, less fuel efficient “Mad Dog” aircraft. I know a lot of people hate MD-80s, but I do have a special place for them. Soon enough, there won’t be any Douglas airplanes flying. Sad. But time marches on, and it was a given that this would happen. Today, American has 214 MD-80s left in the fleet with 154 737-800s. There were previously 54 737-800s on order, so really, there were just 160 MD-80s that still needed to be replaced. That will undoubtedly happen with the 737 and A320 current generation airplanes on order in some form. Then there’s the 757. It’s a great airplane that uniquely can fly passengers across the Pond to Europe, over to Hawai’i and into a variety of hot and high locations with ease. No other airplane has been able to duplicate this with so few seats, and even though it’s out of production, the airplane is still a strong performer. American has decided that it can replace it, but I don’t think that will be with one airplane. The 737 can do Hawai’i, the A321neo and next gen 737s should be able to get to Europe. It probably won’t be a one size fits all solution, but with these new-engined airplanes, there is finally a way to replace the 757. The 767-200 is a niche airplane that primarily flies the JFK to LA and SF routes. That will be easy to replace, and probably should be toast sooner rather than later. That’s pretty much what we know. The problem, as mentioned, is that we don’t know which airplanes in the series American will actually take. It notes that it has flexibility and can opt for any family member in each series, specifically the 737-700, 737-800, 737-900ER and the A319, A320, and A321 are mentioned. So what will the counts look like of each? We don’t know, and American probably doesn’t know either. The airline does like to talk about what amazing flexibility it has in this deal. It can make changes as it sees fit over time. One thing is clear; this will add a lot of airplanes to the fleet, and it reintroduces Airbus into the Boeing-loyal airline. I’m still surprised that American bothered ordering from both Boeing and Airbus. It seems to me that Airbus had this thing sewn up thanks to Boeing’s refusal to move on an heir apparent to the 737 while Airbus had the A320neo. When Boeing finally budged (note that the new engine 737 isn’t approved yet by Boeing’s board but is part of the order), it was able to squeeze back in to the race. But why not pick one over the other? It would seem that with a re-engined option, one manufacturer could fill the need. But I think it’s all about money. As part of this deal, there’s no doubt that American went back and forth to both manufacturers and played them off each other. They got the absolute best deals they could and then, they took them both. That’s a great move. There will be enough airplanes in each fleet to really not make much of a difference whether there’s one type or two. And this way, American can walk away with big money. In fact, the first 230 deliveries are already covered by financing from the two manufacturers. It’s like American is the kid who went up to its parents and asked for money . . . and dad handed over his whole wallet. But with all these massive orders, American is still going to have a lot more airplanes than it has today. Let’s assume that American retires all its 757s, 767-200s, and MD-80s. That’s 299 airplanes out of the fleet but 460 coming in. Huh? That’s huge growth, and it doesn’t even count the options. I can’t imagine a need for that much growth, so how will this play out? Some of it could be counting on the new-engined aircraft replacing some of the current generation 737s and A320s that come in, but there could be more to it. And that could lie with American Eagle. American also announced that it will go ahead in spinning off American Eagle into a separate company. As part of that, the Eagle pilots got a guaranteed path into American with 35 percent of new hire pilots at American required to come from Eagle. American likes to say that it’s spinning off Eagle so that it can fly on its own and can start working for other airlines as well. Yeah, right. Eagle is expensive compared to other providers, and its chances aren’t great for getting new flying. The reality is that American really just wants to start looking for other airlines to do some of its express flying for less. So it spins Eagle off and slowly shrinks it into oblivion. But remember, today American flies nothing smaller than the 140 seat MD-80. What if it chooses to get A319 and 737-700 airplanes as part of this order? You figure those would fly in around a 120 to 124 seat configuration. With that smaller airplane, could American start bringing mainline flights back to places that are served with 70 seaters today? It might be a stretch, especially since my assumption is that the pilots aren’t going to work for less to win that flying back. But there are a lot of routes out there that are on 70 seaters today, like Chicago to Atlanta, that might work better with a larger airplane. American hasn’t had that type of capacity for years, so we have no idea how the airline would use it. But it could be a way of reducing dependence on Eagle, if labor is willing to take on the challenge. In the end, we really don’t know what American’s strategy is. I doubt American even fully knows what it’s going to do with all these airplanes. But it is encouraging to see the airline make these moves. American is finally, actually, going to try to do something about its cost problem instead of continuing to whine about how others will eventually catch up. With sweetheart financing from the manufacturers and much more fuel efficient aircraft, this should help the airline keep costs down. If only we had more details to know for sure . . .
61 Responses to What Will American Do With All Those Airplanes? Maybe availability of planes plays a role in splitting such a large order in two? I guess the position in that orderbook is largely determined by willingness to pay but I presume the premium for AA for that would have been substantial. If an airline like AA wants to get to the front of the line, it can. The manufacturers value the orders too much, so if that means starting a new line (as has been speculated), then it will happen. I still think it’s more of a finance related move than anything else, but that’s just my best guess. 1. Many of the current orders on the books with Boeing and Airbus will never happen. Airlines come and go with shocking frequency, options are not exercised, fleets are downsized, leasing companies redeploy aircraft to more lucrative opportunities, new designs are delayed in production. etc. This order is no different. There will be changes, what they are, who knows? 2. Split the order? Single fleet type is tempting – lots of cost savings. look no further than a dozen miles down the road from DFW to Love Field to see the benefits. On the other hand what if there is a major product issue? Again using Southwest as a model. how many flights did they cancel for the recent inspections relating to fuselage cracks? What if a significant portion of the inspections had turned into repairs? They could have been out of service for weeks. With a single aircraft type that is a real risk. 2. Look no further than a dozen miles down the road and you’ll see an airline that is gladly adding a second fleet type. At some point, you have enough airplanes in each fleet that the benefits of a single fleet are nearly as great as they are with smaller fleets, but usually you add the second fleet because it provides something your current fleet doesn’t. (With Southwest, the 717 provides a lower capacity airplane.) I’m not really sure what a second fleet type gets American here depending upon how the new engine option models each perform. That’s why I really think it’s a finance-related decision. They will never take all those planes into their fleet, but could years down the road make some money selling their place in line to other airlines who really need the planes. Options mean nothing since they are options so AA’s plan to scare Boeing into doing something with the 737 by ordering a much larger number of planes from Airbus could work in their favor. With the big US carriers in one of the big alliances, they don’t as many airplanes for international flying as they did since one of the alliance partners does the flying these days on so many routes. Not much growth in the domestic market unless the airlines can find a better way of saving/making money. Maybe as you say AA is coming to figure out that if they fly their own planes into smaller cities, they don’t need that added cost of using a separate ‘commuter’ airline in certain markets. Please, let’s stop with all these “American will buy US Airways” rumors. That is a brilliant way to destroy both airlines but it provides absolutely no value to either one. American’s higher cost structure will suffocate the US Airways route network and the combined airline would have worse financials than they do separately today. I can’t imagine a lot of money going into that deal. The only way I see it is if American goes bankrupt and US Airways goes shopping. That quote was simply noting that the size of the fleet being replaced at AA is the size of the whole US Airways fleet. Good point, how many of those order positions will one day be switched to other Oneworld carriers who really have the money and need for those aircraft. 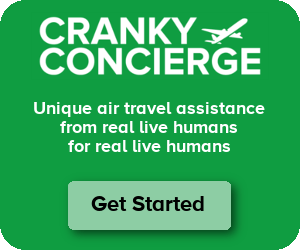 if you look at this link from aa.com, and take their pictures as a clue, AA will go with A319, B738, and A321 for their NB fleet, or so they’d have you believe. I think the order was split to hasten the replacement of the MD-80s. Anything, even “classic” 737s and A320s, are an economic improvement. I too will miss them. I always found them pleasant to fly in. AMR’s deliveries are scheduled to take nearly a decade and some of the positions could be place holders for newer technologies or other order conversions in the future. Maybe these moves are a meant to spur AMR’s unions? Maybe a prelude to merger? Just speculation of course. As you memtion, at least AMR is being proactive with this order. Maybe that’s the big news story here. On the other hand, taking so long to be “proactive” left AMR little choice but to act aggressively. Their 2Q losses were pretty awful. That’s kinda gotten lost in all of the other news. A point about the Eagle situation. I think it’s part of what has to be a major shake up / consolidation of the entire regional sector. There are too many providers providing economically unsustainable lift. Mesa just exited bankruptcy half its former size. Even Skywest is having challenges. What do Air Wisconsin and Mesa do when their current contracts expire? Comair seems to be in the same boat as Eagle. Both are being allowed to die a slow death. I believe there will be shrinkage in the regional sector. The only question in my mind is how much pain will be inflicted in the process. I think the major shakeup in the regionals has already happened. This to me seems like an aftershock but I agree with just about everything you say. You have three major players now – SkyWest (with SkyWest, ASA/ExpressJet under its wing), Republic (with Chautauqua, Republic, Shuttle America), and Pinnacle (with Pinnacle, Mesaba, and Colgan). You could also look at Trans States as sort of on the edge (with Trans States, GoJet, and Compass). But the rest are bit players. Mesa/Piedmont/PSA – Even though Piedmont and PSA are wholly-owned by US Airways and Mesa isn’t, I now group them together. Mesa lives to serve US Airways. Its United contract is winding down, and I would be surprised to see much more come its way. Comair – This airline has been shrinking under Delta’s leadership for years. I can’t see it doing anything else but serve Delta going forward unless it dies completely. Air Wisconsin – Another little guy that now just serves US Airways, but it has greater potential as a ground handler, I think. If it loses the US Airways contract, that’s game over. Horizon – It may be gaining distance from Alaska, but I haven’t heard anything about where it will go. I could see it fitting nicely into the SkyWest family as the large turboprop operator, but it can probably just keep standing alone under the Alaska wing as well. It might be able to pick up some business as a niche operator, but it hasn’t yet. Eagle – Well, just talked about Eagle. I don’t know where Eagle fits in the long run. Huh? I don’t get Horizon gaining distance from Alaska? I think if anything they’ve brought Alaska deeper into the fold. They’ve been stripped of their CRJ-700s, they no longer do any at risk flying, and they’ll now have “Alaska” boldly painted over the sides of their plane. Well, Alaska has set it up so that the functions between the two airlines are no longer intertwined. Previously, Horizon handled pricing, marketing, etc and worked with the Alaska counterparts. Now, Alaska has taken over all those functions and Horizon is just an operator. If it’s Horizon or SkyWest, the function is now the same in regards to Alaska. It’s just that Alaska happens to own Horizon. I do see Mesa becoming part of US Airways (more likely PSA) eventually. I even see a potential US takeover of Air Wisconsin, if only for its ground handling business. I agree its flying is probably toast. I see both Comair and Eagle as dying excruciating deaths by attrition; killed by their high costs. I can see Horizon as an alternative to Mesa for US’s west turboprop flying (if there is any in the future). I wonder what Piedmont’s fate will be if / when the slot swap goes through. If I’ve read correctly, a lot of Piedmont’s turboprops operate out of LGA. It’s already taking over Mesa’s ground handling here in PHX. Piedmont may go to the airline graveyard in favor of a contract with Horizon and / or Mesaba. I don’t see US contracting with Skywest, but you never know. I can see TransStates ultimately merging with Republic, but this is pure speculation based on fleet types only. In the end, I believe we’ll be left with three major regional carriers and a niche operator or two to perform EAS service, just as we’ll probably be left with three major legacy airlines plus Southwest and a few niche LCC carriers eventually. I should fill in a hole or two here. I see US divesting itself of its regional affiliates at some point in the future. All of the above speculation re: US’s wholly owned, Mesa and Air Wisconsin can happen as part of US or a regional it merges with or is bought out by. My overall point is that there will be far fewer regional carriers in the not-too-distant future. Piedmont is a really interesting question. Those airplanes are getting old, and at some point, they’ll need to be replaced. More recently Colgan has been doing some prop flying for US Airways, and I seem to recall that some of the ones Delta will be retiring will go into the US Airways system because they’re newer birds. Piedmont didn’t just pick up ground handling in Phoenix – they’ve done it in a lot of stations. I could see that becoming a ground handler at some point. I agree that there is allot of ‘over-ordering’ here and many of those options will never see the light of day. It will be interesting to see how the AE Spinoff Attempt 2.0 goes. The number crunchers in Euless know that AE as a stand alone Company in their price environment and economy is doomed. AA…(like DL and UA/CO), are heavily dependent on RJ operations in markets like ORD-ATL/MSP/DTW/DCA, DFW-MKE/CLE/CVG and that bizarre mess in LAX. By bringing right-sized mainline aircraft into the fold, they can improve the brand while enjoying lower CASM vs the E135/45 & CRJs. I do not think we are going to see the kind of explosive growth of Crandall’s AA in the 80s…but I agree with Cranky that we will see more mainline metal in markets that have been farmed out to AE in the 90 & 00s. The caveat here is what kind of backroom deal was done (if any) with APA and APFA before this order was announced. I almost love participating on Cranky more than I do on a.net. I also applaud Brett for taking the time to give the Eagle divestiture some podium time as well. Were it not for this earth-shattering aircraft order, the Eagle divestiture news would have been covered in far greater detail (and negativity). It seems that the aviation world is all “high-fives” over this order, but there’s still little talk of what hasn’t changed. AMR is still the same AMR it was before, and that, to me anyway, is it’s greatest problem. It’s clear (to me) that American is looking to wipe the slate clean with it’s older, drab militaristic airline with a newer drab, militaristic airline. Not a fair comment, you say? Consider this.. American is looking to perform a forced attrition replacement of it’s aging fleet. On the chopping block are the MD-80s, B757s, and some or all of the B767 fleet. Not new routes, new product, new advantage program, just newer aircraft. American’s aircraft age was never the driving reason why I avoided them on most occasions.. it was the quality of their overall product and the cause-and-effect nature of their network causing systemwide delays. Add to that the dead anchor-weight that is American Eagle, and you have an airline that HAD to do something to get the world to notice.. I also failed to mention that American bought itself in to fleet synergy should it ever reconsider merging with US Airways or JetBlue. I agree that this doesn’t solve AA’s problems, but it does take a step forward to helping to reduce its cost problem versus other airlines. By being a first mover, it undoubtedly got rock star financing. We don’t know the details, but you have to think that Boeing and Airbus really gave them a break. So that should be a good advantage for ownership costs in the future. This is true.. $14B in *supplier* financing of the total $20B is truly the key. 70% is a magic number.. the remaining 30% is likely to be covered mostly through independent financing. I’d bet that American’s total cash-out to execute this move was very little. That will change in time. AA is not going to “buy” those aircraft. Other firms will buy them and lease them to AA. AA’s fuel savings will pretty much cover the leases. So, AA gets newer aircraft for almost no net cost. I would dread making very long flights in single aisle aircraft. Hard to walk around and to get to the toilets. Well if you’re in the US. basically a majority of our domestic flights are on single aisle aircraft. I will be sorry to see the 767’s disappear — it is by far my favorite commercial airplane to fly. The two aisle, 2-3-2 configuration means aisle access is never more than one passenger to climb over, and with the two aisles, these planes seem to load and unload more quickly. I understand that 767’s are relative gas-guzzlers, though…is that the plane design or is it the engine design? This order will only replace the domestic 767-200s that fly from JFK to LA and SF. The international fleet will continue to solider on, presumably until enough 787s come in to replace them. I see the 737-900ER as a good replacement for the 757’s and the 737-700/A-319 filling in the gap on the bottom (ORD-ATL, LGA-ATL, etc). As CF and others have pointed out, the A-320 seems to be the odd type out. It brings little to the table that AA does not get with the 737-800. If I had to speculate I think that we will see A-319s, 737-800s and A-321s/737-900ERs. I doubt that we will see the 737-700 or the A-320. Given the size and break-down of the order, my instinct says A-321 over 737-900ER, but it could be a mix. Not so. CNBC or MSNBC (I forget which) had a special which they rerun at times so try and catch it. It was a week in the life of AA type show. The reported started off the show on AA flight 1 JFK-LAX and at the end gave the numbers for that flight. With ticket/cargo sales minus cost to operate the flight AA only had a profit of $200.00, and he went on to say if they had sold one less ticket the flight would have lost money which happens at times. So while we think an airline makes big profits on flights, they don’t always. It would be interesting to see with AA flying a number of JFK-LAX/SFO flights with 762 aircraft and UA with a lot of flights with 757 aircraft, who really makes the most (if any) profit. Those flights can be more for show then for making money. On-flight versus network profitability are very different bases. Safe to say the trip would not be operating if it did not forecast an adequate return at the network level (at least the way they model it — not saying it doesn’t perform differently in actuality). Actually, it’s horribly unprofitable for American. Forget about what they said on CNBC. Bob McAdoo did a research report back in May which looked at American’s problems. According to his research, JFK to LAX loses $70m a year while JFK to SFO loses $54m a year. In JFK to LAX, American’s average fare has plummeted since 2000 from $397 to $279. In other words, this is a complete disaster for the airline. Cranky, out of curiosity, why do you think they keep flying these routes if they are a ‘disaster’? Well, I don’t think the issue is that they keep flying them – it’s how they fly them. United, for example, saw the writing on the wall and retired its 767-200s years ago and replaced them with 757s in a premium configuration. So United was proactive and was able to keep strong revenue by eliminating a lot of coach seats and getting a more appropriate aircraft. American has just done nothing so it suffers from lack of action. The more I look at this, the more I start to wonder if AA isn’t simply hedging its bets to be able to pick the better aircraft once more is known about both, especially the new Boeing product, while still being able to get in on the ground floor with a new airplane. I would like to put in an order for 36 A320neos, 20 737-900’s and 6 747’s. Thanks a bunch. I’ll be sorry to see AA’s spacious 767-200s leave the fleet. No other carrier operates twin-aisle aircraft on the transcons. Hard to believe that at one time, it was mostly all widebodies … 747s, L-10s and DC-10s. But lower frequencies and therefore a smaller choice of departure times. I’ve taken many United 777s and 767s on flights between hubs. Indeed – they fly 767’s and (I think) 747’s between SFO and ORD. I don’t know how this news has been carried in the US, but in the UK I find it a little strange that it’s been on the BBC without any trumpeting from either Boeing or Airbus, and they don’t normally waste any opportunity to rub the others face in it, or twist any story to claim a victory for them. Perhaps the deal isn’t that great for them, perhaps they don’t believe it will happen, either. Do you really think that the 321NEO or other aircraft can really replace the 757? Even with new engines, I don’t think that a 321 would work to Hawaii or transatlantics (if AA uses 757s transatlantic) as well as a 757. Aircraft manufacturers seem obsessed with taking an airplane and just stretching it (look at the original 737, 320, CRJ and others) rather than using an appropriate aircraft for the job. Also, does American operate any 753s? Those are a size that’s hard to fill until the 787 comes unless they use a 763. AA only has 757-200s not 757-300s. As you can see from Boeing’s site — http://www.boeing.com/commercial/737family/pf/pf_rc_newyork.html — both the 737-800 and 737-900ER have the range to reach Ireland & England from New York. The -900ER can also reach MAD and BCN (the -800 might make it to MAD but it would be very close and probably not worth the risk). Since Hawaii from LAX is 1,000 miles less than JFK-LHR, clearly both the -800 and -900ER could make the trip. West coast – Hawaii would be fine with these. But given headwinds when flying west (plus accounting for payload and extra fuel and such), I don’t think that it would be smart to use 321s on transatlantics at all. Even 737s might have a tough time. JetBlue and US have had issues with their 320s and 321s flying westbound across the country requiring fuel stops in the winter. Even with new engines, transatlantic is that much further that this doesn’t seem feasible. Nobody really knows what the A321neo will do yet because it doesn’t exist. But it needs to be able to serve those markets. Hawai’i has a great deal of extra fuel reserve requirements since there’s no diversion airport so as Anon says below, the range charts don’t really help. Those range charts you’re citing don’t account for things like strong headwinds in the winter, extra fuel needed to make it to alternate airports, etc. Being just barely able to make it to a city under optimal conditions is not good enough for airlines, which need to be able to operate their flights year round, in varying weather conditions. You’ll notice that no airline currently flies any A320 to Hawaii, and I suggest that’s for a reason. Looking up the maximum range specs for an airplane and going over to great circle mapper is not how airline route planners make equipement choices. Why should the transcons be different than other markets? Especially as they span “pillars”… OK, LAX at least… which doubtless makes it a “free pass” (in their minds). RE: this merger with B6/US speculation. Allot of people are speculating that this Airbus-heavy is a segue to merge with US and/or B6. What do you think of this Cranky? I personally do not thing AA ‘needs’ to merge with anyone…they need to get their house in order. Fist issue…the fleet…has been addressed now. The second one…underperforming assets (Eaglett) has been addressed with this nebulous exit strategy. The final component…and most difficult…will be to get labor and management to come up with a realistic and viable model going forward. I really hope that some backroom deals were struck with APA and APFA before this order and spin-off was announced. But I really do not think that given the scope of AA’s core network, with solid JVs in place with BA/IB and soon JAL…that AA needs to take on someone elses issues (US) or buy an operation that does not fit with their cost structure (B6). I commented on this above. There is no way that any sane management team would merge with JetBlue or US Airways. Both of those airlines would be toast if they were brought up to the American cost levels. Fleet is not an issue here – it’s a simple revenue vs cost problem, and neither JetBlue nor US Airways work at American’s costs. Now, the question is whether you consider American’s management team to be sane! Don’t get my wrong, I see where you are coming from.. but who said anything about a sane management team? Granted USA has made enough of the right changes to turn a solid profit for some time now.. but both seem to be in agreement that bigger is better, and therefore merger is the only true path to staying in business. American wants to merge (again, this is pure speculation, so bear with me…). They know that their cost structure is preventing any potential merger partners from considering them seriously. They also know that the operational and maintenance costs of the older aircraft outweigh the operational and maintenance costs of new aircraft with extra cash to spare. By splitting the order between two manufacturers, AA can replace their fleet in a shorter time than they could if they only went with one supplier. As for the fleet structure, they’ve already got birds from different manufacturers, but in all likelihood, there will be some re-certification necessary to operate the newly ordered fleet as the older birds are retired. The amount of training and certification levels required will ultimately be on a case-by-case basis, and they’ll likely divide their pilots into mixed groups to two ends: 1) get the pilots that aren’t even close to being trained or certified on the new aircraft started on the training while they 2) get the pilots that require less training, trained and into the new fleet as quickly as possible. By replacing the older and more expensive fleet, they improve their operational cost structure, making themselves a more likely candidate for a merger. Costs go down, financials improve, and potential partners start to take notice. Again, this is ALL speculation based on the news articles that I’ve read, and the overall consolidation trend in the industry. Pingback: Avia Vliegwereld Luchtvaartmagazine · American, wat zijn uw plannen? Do you think the manufactures are only getting interest on this 100% financing deal. I’ve been hearing that the manufacturers are going to get the heavy maintenance in the deal. AA mechanics have already been working for three years without a contract. typical corporate greed; the combined work groups give up 10.6 billion in concessions over 6 years to keep the company out of bankruptcy and now due to the companies unwillingness to negotiate in good faith those concessions have continued for an 3 additional years. Due to the railways labor act they can’t even strike until given permission by a federal mediator, after he declares an impasse. Giving away the heavy maintenance in this deal would fit right into upper managements thankless way of mutual respect for the employees. The details of the financing are not being disclosed, so there is no way to know what is actually happening as part of this contract. It is not a 100% financing deal, however. That’s only for 50 percent of the airplanes. Regarding the rumor about maintenance, that sounds like a front line rumor that’s meant to get people in an uproar. this prompts you to wonder how long has American mauled the us airways merger? us is known for their airbus fleet and it makes logical sense an order this big, then you merge now you have brand new planes to provide for everyone. American+US Airways will buy al least 80 A350-1000s due to commonality with Airbuses ordered (A320 familiy), acording to informal talk of Leahy with french periodists lasta month in Toulouse. I do like the MD-80s but I have never been on one. I think the rear engine design is cool. maybe American has ordered so many planes because of its merger with us airways. I know the MD-80 is being replaced because it isn’t fuel efficient and doesn’t have the new winglets that reduce drag, but why are they replacing the 757. I think that it is a perfectly good modern plane. I do like the MD-80s even though I have never been on one. I think the rear engine design is cool. I know that the MD-80s are being replaced because they are not very fuel efficient and the don’t have the new winglets that reduce drag, but why are they replacing their 757s. The 757 is a good plane, it can go farther than the 767-200 which is bigger, and its not very old like the MD-80.